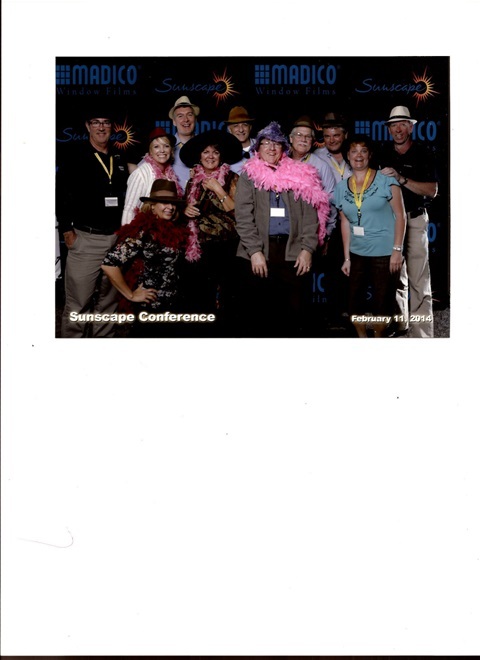 THIS YEARS SUNSCAPE DEALER CONFERENCE WAS HELD AGAIN AT TRADEWINDS ISLAND RESORT ON ST.PETES BEACH FLORIDA FROM MONDAY FEBRUARY 10-12,2014. 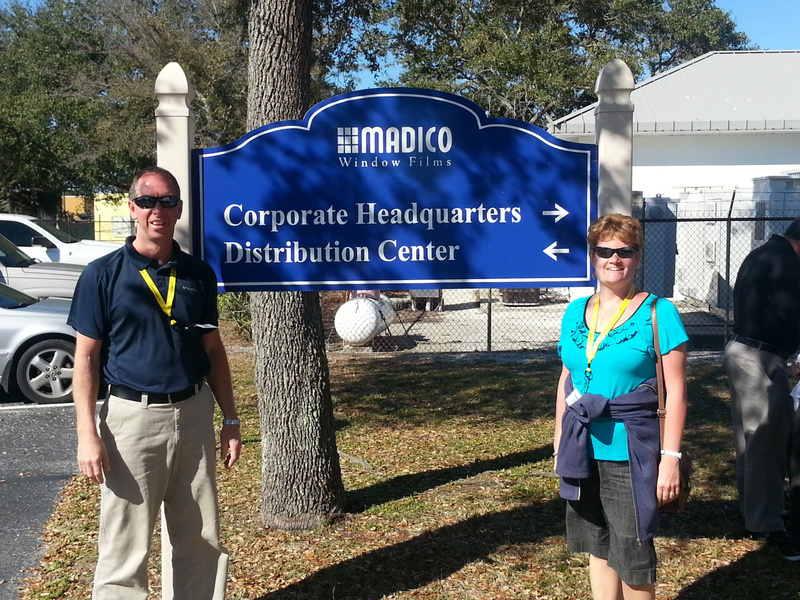 IT WAS GREAT TO GET TOGETHER WITH THE MADICO STAFF ,OTHER DEALERS FROM ALL OVER THE WORLD BOTH CANADA AND THE UNITED STATES. IT IS ALWAYS AN OPPORTUNITY CAUGHT UP WITH THE NEWEST AND LATEST CREATIONS AND CHANGES IN THE INDUSTRY. ABOVE JILL AND CARL ARE GETTING READY TO TOUR THE MADICO WINDOW FILM PLANT ,WHERE THE WINDOW FILM IS PRODUCED,EXTREMELY CLEAND ,BOXED AND SHIPPED AWAY TO ALL OVER THE WORLD. THE PLANT IS EXTREMELY CLEAN. WE HAD THE CHANCE TO GO INTO THE CLEAN ROOM.EVERYONE HAD TO GET SUITED UP WITH EVERYTHING COVERED INCLUDING HAIR AND SHOES. WE LOOKED LIKE SURGEONS IN THE HOSPITAL.
" 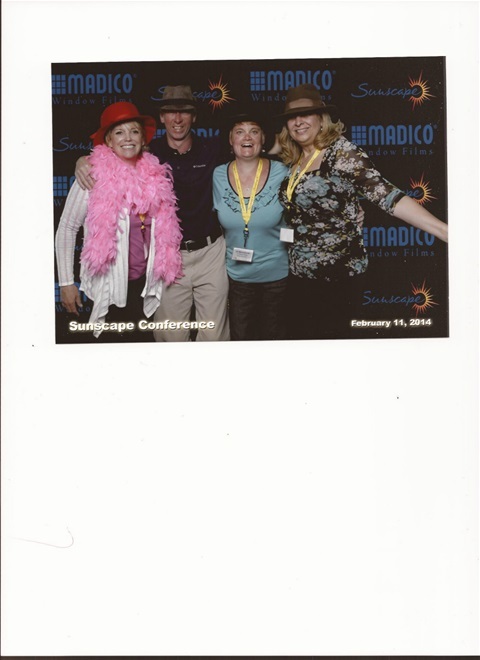 WE WERE VERY IMPRESSED WITH THE PLANT VERY CLEAN AND ORGANIZED" THE STAFF VERY FRIENDLY AND TOOK PRIDE IN THEIR WORK FROM BEGINNING TO END"
MADICO CERTAINLY KNOW HOW TO ENTERTAIN AND TREAT THE SUNSCAPE DEALERS. WE HAD A FABULOUS DINNER AND DANCING AT THE YATCH CLUB IN DOWNTOWN ST.PETES,FLORIDA..
PICTURED ABOVE ARE THE GANG DEALERS,MADICO STAFF AND DISTRUTORS FROM ALL OVER CANADA AND UNITED STATES.. IT WAS A BALL..
MORE PICTURES TAKEN FROM THE YACTH CLUB , DOWNTOWN ST.PETES, FLORIDA. JILL AND CARL PICTURE WITH A DEALER FROM LAS VEGAS,SHERRY IS A STAFF FROM MADICO SHE WAS THE ORGANIZER OF THE WHOLE EVENT.GREAT PERSON TO SPEND TIME WITH AND LOTS OF FUN..